Lenovo has been providing good quality, budget friendly smartphones to the market and the strategy has helped them a lot to get the grip on major smartphone markets like India. 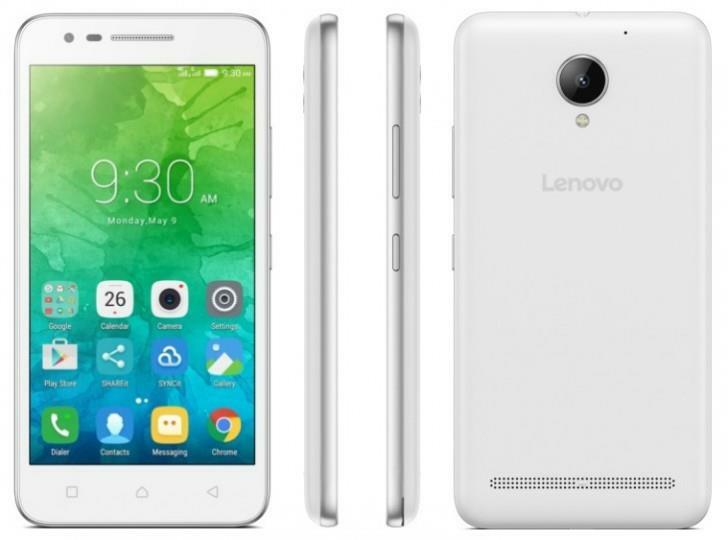 They have recently launched another budget smartphone, Lenovo Vibe C2 Power which is a successor of the Vibe C2, launched earlier. The new Vibe C2 Power was announced in August 2016 and the specifications of the device are decent. The device will be coming with fairly good build and may look somewhat like its predecessor. The device comes with dimensions, 143 x 71.40 x 9.50 (height x width x thickness) and it weighs at about 156 grams. In detail, the device has the volume rockers and lock button on the right and the left of the device is left blank. On top middle you will find the 3.5mm headphone jack and charging port on the bottom. Camera and Flash are placed on the rear with flash placed just below the cam. As we go down you will find the speakers placed on the back bottom. There is nothing new in here to discuss in that detail about the design, but before buying it, you should know the device. The new Vibe C2 Power sports a 5inch IPS display with 720*1280 resolutions. Moving on to the insides, new Vibe C2 Power is actually powered by 1GHz quad-core processor with MediaTek MT6735P processor. Along with it you will be having 2GB of RAM, doubled when compared to the previous Vibe C2, to make it even more powerful. The user will be provided with 16GB of internal memory and can be expanded to 32GB by means of microSD card. Talking in detail about the battery, the device features 3500 mAh battery, almost 750mAh more than the Vibe C2, and that's where the name 'Power' comes in and it is non-removable. The new Vibe C2 Power features dual shooters, with 8 megapixel one on the rear and 5 MP one on the front for your favorite selfies. The main thing to be noted is that the device comes with Android 6.0 Marshmallow out of box and that's a good thing to consider this phone where other devices in this price range lack to provide. Another thing to be noted is that the new Vibe C2 Power will be a 'Single SIM' device which you can you with your micro SIM in it. As far as the connectivity features are concerned, it packs with Wi-Fi, GPS, Bluetooth FM, 4G and sensors includes Proximity, Ambient light sensor, Accelerometer and Gyroscope. The device was announced in Russia by Lenovo this month and the device will be priced around RUB 11,000, and that will be around Rs.11,300 according to current exchange rates. If they are going with a price range like this, the device won't be welcome with that much expectation that the company is having. Since new competitors like Redmi 3S and Micromax Unite 4 are here, selecting the correct price range will decide the future of the device. The difference that we saw from the previous Vibe C2 was only the battery and RAM improvements and both will be welcomed by the users, but the rest is with the company. Let's wait for the company to do the rest.